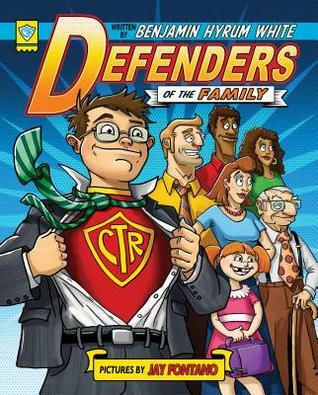 About the book: Defenders of the Family, assemble! God’s magnificent plan for us rests upon the strength of the family. In this engaging children’s book, discover the roles and teachings needed to unite your family, from devoted parents to extended members, all centered on the power of the gospel. Help your children see their families as they can be: incredible, empowered, eternal followers of Jesus. My review: I love this cute comic book style children's book! I love the pictures, they are so cute and just plain fun - don't you just love the cover? But the thing I really love the most about this book is the way that it teaches children - and adults as well - exactly what we believe, from being the gender that you were created, to having a strong family that love each other to the plan of happiness that Heavenly Father has created for us to follow. I love the whole idea of being a "Defender of the Family," especially in this day and age when it seems as though the family is being torn apart and mocked on every side. This is a timely book that is really needed in the world right now!